One of today's premier biographers has written a modern, comprehensive, indeed ultimate book on the epic life of Franklin Delano Roosevelt. This is a portrait painted in broad strokes and fine details. We see how Roosevelt's restless energy, fierce intellect, personal magnetism, and ability to project effortless grace permitted him to master countless challenges throughout his life. 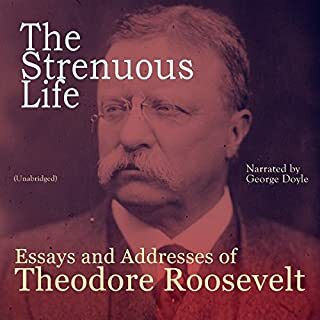 "The Strenuous Life: Essays and Addresses" is a collection of Theodore Roosevelt's published commentaries and public addresses on what is necessary for a vital and healthy political, social and individual life. Roosevelt states the main point of his speech in the opening remarks: "I wish to preach, not the doctrine of ignoble ease, but the doctrine of the strenuous life, the life of toil and effort, of labor and strife. Along with Colonel Leonard Wood, Theodore Roosevelt instigated the founding of the 1st United States Volunteer Cavalry in 1898 at the beginning of the Spanish-American War. Nicknamed the “Rough Riders” by journalists, the Cavalry engaged in several battles. This is Roosevelt’s best-selling account of one of the most fascinating regiments in American military history. Death, hardship, honor and renown. 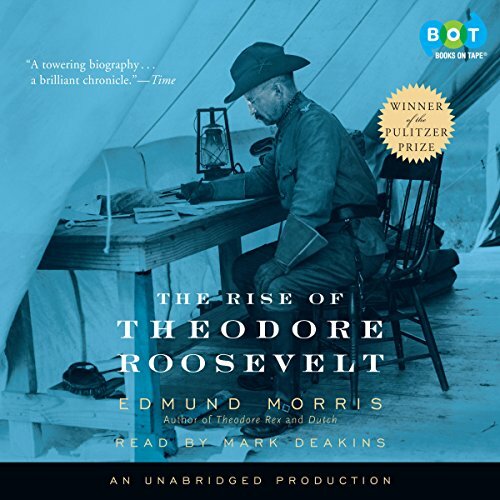 Described by the Chicago Tribune as "a classic", The Rise of Theodore Roosevelt stands as one of the greatest biographies of our time. The publication of The Rise of Theodore Roosevelt on September 14th, 2001, marked the 100th anniversary of Theodore Roosevelt becoming president. This book covers TR from birth to assuming the Presidency. (Morris's "Theodore Rex" covers the presidency on). "Rise of TR" is a long, but rarely boring, owing much to the excellent narration of Mark Deakins. It should be appropriate for readers new to TR and to those not extremely well-versed in politics... Morris does a great job of helping you understand the gist even if the exact details why are not clear. 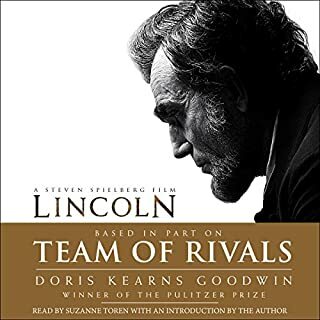 The text reads more like a novel, rather than a dry biography, and in this sense is one of those audiobooks that you find excuses to get in the car and listen to. Well written, well read. Very, very good, but very, very long. The first part of Edmund Morris' biography of Theodore Roosevelt is absolutely wonderful. This volume covers Mr Roosevelt's life from his birth through his selection as Vice President under McKinley and McKinley's assassination and is long enough, at 26, hours to cover everything of importance. While this is not the first Roosevelt biography that I have read it is the first that has covered all of the relevant parts of his early life with what seems like completeness. Theodore Roosevelt led an extraordinarily varied life – young naturalist and student of animal life, Harvard student, New York assembly man, corruption fighting reformer, Civil Service Commissioner in Washington, cattleman in the Dakota Territory, Police Commissioner in New York, assistant Secretary of the Navy, mayor of New York City, Rough Rider and more and all of it comes to life in the wonderful writing of Mr Morris and the flawless narration of Mark Deakins. While parts of his life seem incongruous (for example his ability to be both a nature conservationist while, at the same time, engaging in hunting trips to kill wild animals and mount their heads and skins at his house) we need to remember that this occurred well more than 100 years ago and was perfectly in line with the common views of his day. What stands out above all are his enormous energy, his quick and subtle thinking and his absolute honesty. It is easy to see why he was so popular with the voters while, at the same time, so unpopular with some of the political class of his own party. His rise to power, given the unhappiness of some of the powerful politicians of his day, seems remarkable. Mr Morris' writing of Theodore Roosevelt is largely positive, but not fawning. He writes about both the positive and negative sides of Mr Roosevelt's habits, views and opinions and his writing seems well balanced. However there is also a tendency to attribute the motives Mr Roosevelt's opponents to either meanness or greed and he (Mr Morris) seems unwilling to believe that those opponents might have held honest views which just were at odds with those of Mr Roosevelt. 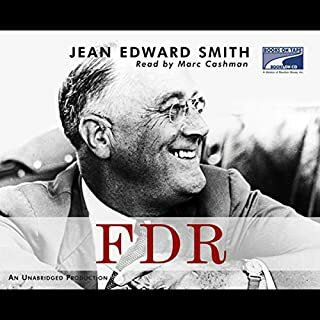 It is not enough to spoil the book but, while listening, I kept thinking to myself that perhaps the person in question honestly believed that Mr Roosevelt was wrong. This is a very long book. All three volumes, in Audible format, add up to about 77 hours. While that length itself seems long it seemed even longer when compared to some of the other popular political biographies – Ron Chernow's biography of George Washington is about 42 hours, David McCullough's biography of John Adams is about 30 hours, H W Brand's biography of Ulysses Grant is about 28 hours, Jean Edward Smith's biography of FDR is about 33 hours and so on. As I said, this is a very long book. To find a comparably long biography one has to look at William Manchester's 3 volume biography of Winston Churchill which, at about 133 hours, eclipses even this book. 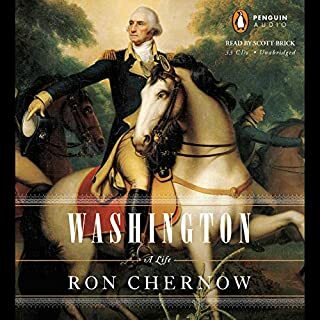 While listening to the Audible book I kept thinking that the book might have benefited from some judicious editing but I could never really put my finger on anything that should have been left out. It is long, but all of the information seems to be important, interesting or both. While 77 hours seems very long perhaps it is necessary for a life so varied, intense and central to the history of the US and the world. 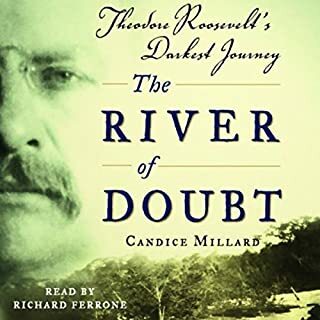 Theodore Roosevelt's life deserves a great biography and has found it in this book. Highly recommended for those interested in history during the beginning of the 20th century. 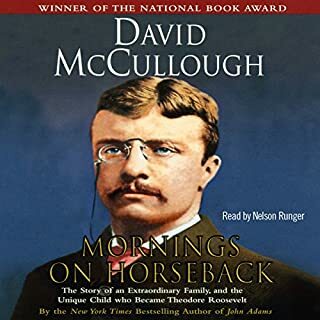 Old teddy and I go way back now, I've read Mornings on Horseback and River of Doubt among others and my forknolege of his storied biography can't help but deflate all the interesting stories since I've heard them all- or most- before. This happens all the time when you read non-fiction. Would I have given this 5 stars had this not been the case? I don't think so, While the writing was very good it wasn't awe inspiring and I try to reserve 5 stars for those that are. I have got a few hours into the second book of this trilogy and there is a distinct improvement over this first books already fine writing. I think the Pulitzer he got for the first book put a skip and a song into the writing of the second because there is a distinctly unabashed, won't you smell the roses uplifting lilt-call it a confidence- in Theodore Rex and it works. Wonderful, fully alive, perhaps 5 star rating for book 2 if he keeps it up. Don't let this deter you from reading this one though, especially if the material is new to you. Oh and the narration is perfect !! He has teds voice down perfectly. A biography of a DYNAMO of force and energy. A masterful presidential biography of a dynamo of force and energy and an absolute iconoclast of American politics. Morris is one of the rare breed of modern, well-published historians (Caro, Bushman, Donald, etc) who is able to easily combine the narrative grace and vivid details of popluar historians (Foote, Goodwin, Ambrose) with the scholarly analysis and weight of academia; and then does it again and again and again. This is without a doubt the best biography I have read yet. It doesn't hurt that the subject matter is so facinating. But I was relieved to find that the author kept a fairly even hand in his writing. Not falling into hero-worship where the subject does no wrong nor the more modern tendency of tearing the hero down. The book is very easy to listen to and the narrator is excellent. Theodore Roosevelt comes to life, largely through his words and those of people who knew him. It's biography as good as it gets. Morris unearths and culls an ocean of original data and molds it into a page-turning narrative. TR was a voluminous reader, a polished published author of popular books, a gripping orator, and he kept exhaustive diaries. (The same cannot be said for many interesting historical figures, who, as a result, inspire dreary, lifeless biographies.) We get a sense of who he was from boyhood, a highly intelligent, energetic workaholic with the power to focus on any issue or challenge he tackled.. Though we can't experience TR's charisma first-hand, with this biography we have come closer. I don't share all Roosevelt's passions, but I always envy his doggedly focused energy, ethics, attention to detail, and almost pugnacious readiness to confront his opponents. Whatever he chose to do he did with his whole soul, with a kind of joyful combativeness. And, remarkably, he was able to juggle a tricky political climate, while maintaining his personal integrity. This is an enriching, animated portrait befitting our most dynamic, driven, and perhaps manic, president. Theodore Roosevelt-A Truly Amazing Man! Yes, It clearly shows why he was successful. Which character – as performed by Mark Deakins – was your favorite? A great and honorable president. Before reading this book I had no inkling Theodore Roosevelt's pre-presidential life would be so interesting or so entertaining! I've listened to all the "Game of Thrones" books, and if you enjoyed the pace and intrigue of those thick tomes, then you'll probably also be able to lose yourself in this brilliantly crafted biography. This is top-shelf, A-list stuff, and Morris' place as one of our greatest historical writers has rightly been cemented since he published "Rise" in 1979. The vocal performance in this book is equally engaging. I would place Mark Deakins' work here on the same level as Roy Dotrice's narrative mastery in the "Game of Thrones" series. Deakins' ability to slip into Roosevelt's clipped cadence adds a whole other level to the book. This was one of the most enjoyable biographies or histories I've ever read. That's due in part to Roosevelt, who was many things besides a politician--naturalist, writer, cowboy, war hero, among others--and in part to Morris, who writes beautifully and with the right blend of admiration and objectivity. I'd even recommend this book to someone who is not particularly interested in politics. Mark Deakins is an excellent narrator, and does a great TR voice. Just when I thought I was tiring of the political talk, the author seemed to sense it and would switch to a different scene and style. I feel like I know Teddy now. My first five star rating.